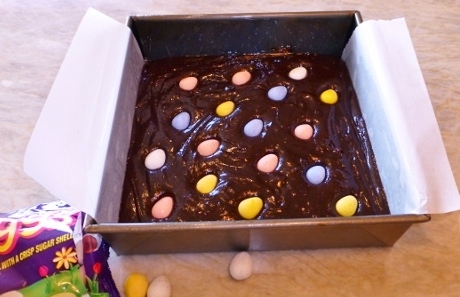 Chocolate Easter Egg Brownies - Recipe! - Live. Love. Laugh. Food. 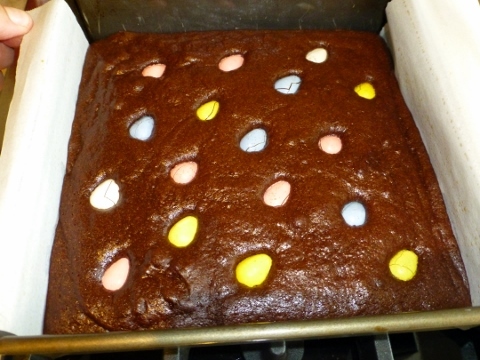 Everyone loves a good brownie, especially at Easter. This recipe is so chocolaty rich and tender with a hint of espresso. Mix the brownies in one bowl and pour them into a baking pan and bake — it’s that simple. To insure a rich chocolaty flavor, buy the best quality cocoa powder you can because the richness of the brownie depends on it. Adding candies or nuts to this recipe, makes them seasonally flavorful and I think, milk chocolate mini Cadbury Eggs are the perfect addition. Festive eggs like these add a pop of color to these brownies, not to mention a candy coated crunch! Happy Easter! 1. Preheat oven to 325 degrees. 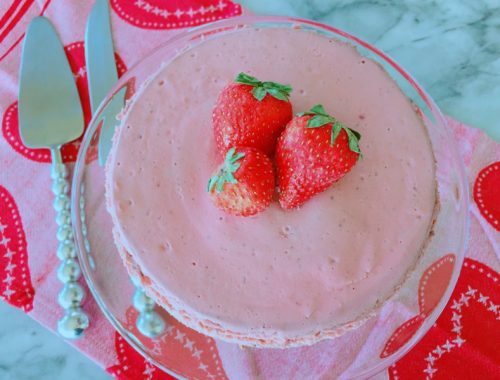 In a microwavable bowl, combine butter, sugar and cocoa powder and heat on high for 1 minute. Stir, and place bowl back in microwave for 30 seconds, stir. 2. Add eggs one at a time to cocoa mixture and stir until incorporated. 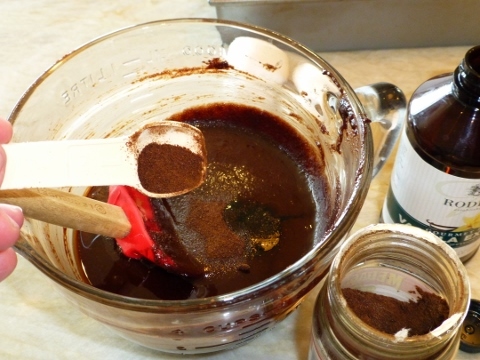 Add vanilla and espresso powder to cocoa mixture, stir again. 3. 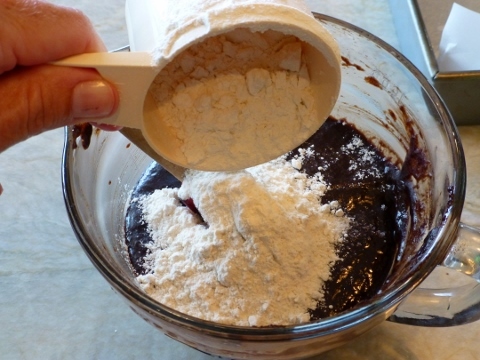 Add flour and salt to cocoa mixture and stir for 3 minutes by hand, until brownie batter looks smooth and shiny. 4. 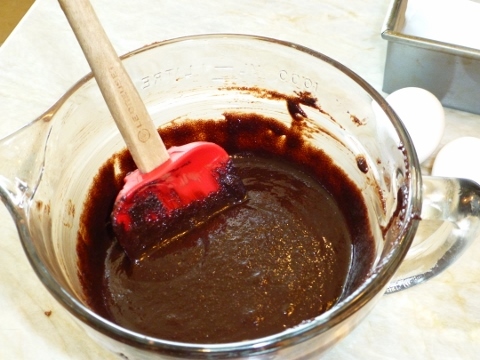 Pour brownie batter into a greased and parchment lined 8-inch square baking pan. 5. Dot brownies with candies or nuts. Place pan in oven to bake for 20 minutes. 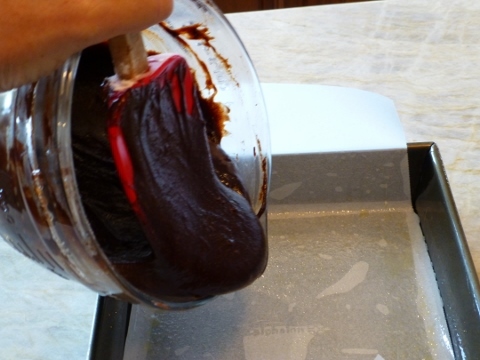 Remove brownies from oven and let cool for at least 45 minutes until slicing. Enjoy! 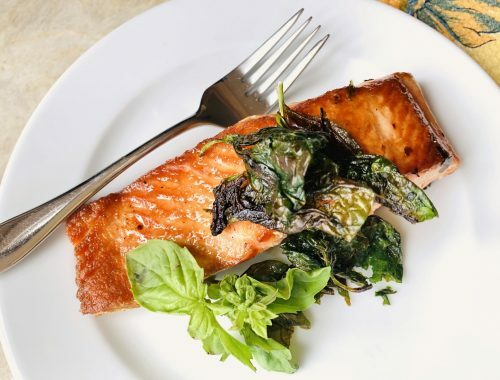 Crispy Basil Salmon – Recipe! 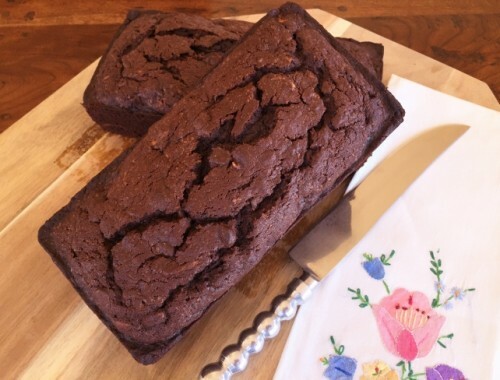 Double Chocolate Zucchini Loaves – Recipe!